Fall in love with the scenic views right from the start! 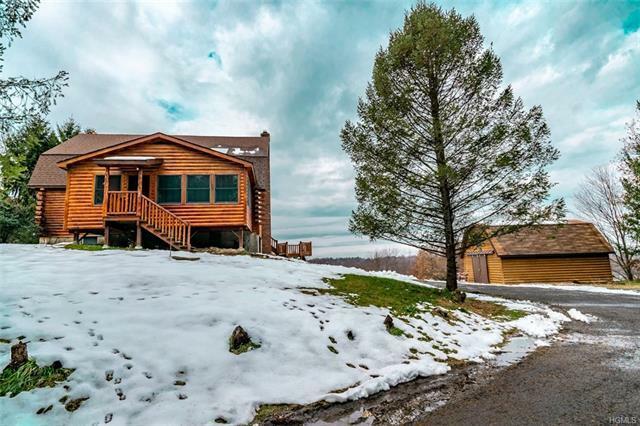 This lovely custom built home perched on five-plus acres of paradise, enhances an open floor plan and deck that provides panoramic mountain views with a mixture of open woods and meadows. The living room is topped by a chalet-style ceiling with a cozy wood burning stove and a brick backdrop adding warmth to this charming oasis. A staircase that leads to a lovey master suite loft space, overlooking the view. Each bedroom has its own private bathroom. Skylights and gleaming wood floors throughout. A variety of restaurants, shops, and galleries, all just a short distance away. This property should be on top of your list!